Many of you Bloggers may be wanting to get your own custom domain name, but you may be scared about the changes that would come about in terms of SEO, Blog rankings, Alexa Rank, Google Page Rank, Backlinks and brand reputation.Well, here I would like to clear some of these clouds with respect to moving to a custom domain using Blogger. Traffic will not drop once you redirect to a custom domain using the options provided in Blogger Settings. Using 301 Re-Direct (Normal Blogger Re-Direct) will retain 60 to 90% of the original Google page rank your blog had.But you may have to wait for the next Page Rank update before you can see this on your new domain. 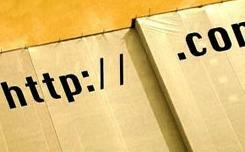 SEO will not be affected much, you should start Blog commenting and guest writing using your new domain links quickly. Alexa Rank will be lost completely, you will be starting afresh. Most of the backlinks will be retained as Blogger uses 301 Permanent R-Direct, which is a Search Engine friendly type of re-direction. Brand Reputation will not be harmed much unless you do not tell your regular readers about the changes you have made to the blog name and domain. I wanted to share some of these experiences with other bloggers as I was looking for this kind of information while I was considering moving to a custom domain after all Blogger blogs got country specific redirection.